This weekend Norwich held it’s first Chocolate Festival. I don’t think any questions need to be asked about whether or not I attended – and my fridge would certainly confirm it. After a delicious bunless falafel burger from GBK, a few friends and I headed on over to the Old Fire Station. There was bunting hung up around, and on walking in crowds of happy chocolate eaters were hoarding the hall along with stands of chocolate. 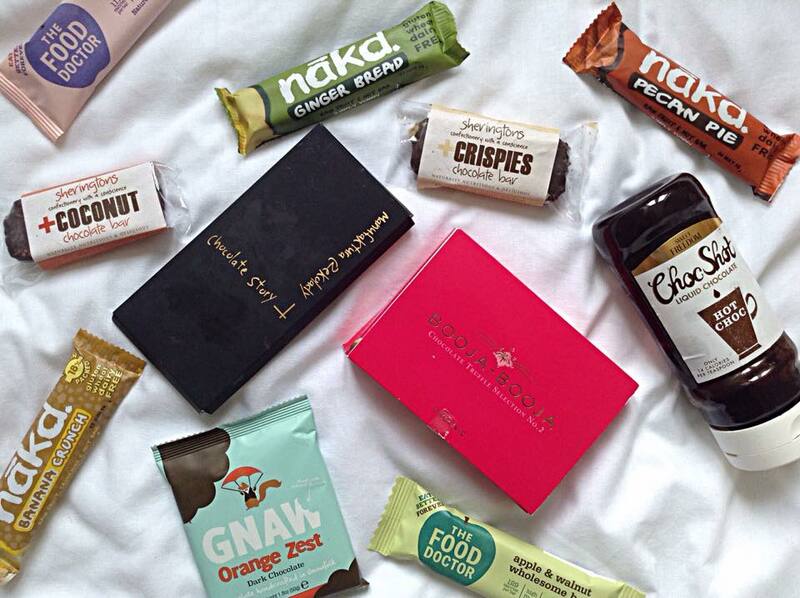 Sheringtons – your favourite chocolate bars, raw, refined sugar free and just £1! Also on offer were a range of coffees (obviously only an almond milk 70% cacao mocha was the way to go), sweet treats, and hot foods. I also saw a chocolate chilli and nachos which looked AMAZING. Leave a comment saying if you went and what your favourite chocolates were! And if you didn’t (or a planning a return like me) keep an eye out for the next one on their website, and check out the chocolates mentioned.